minimizes the level of residues on the harvest. 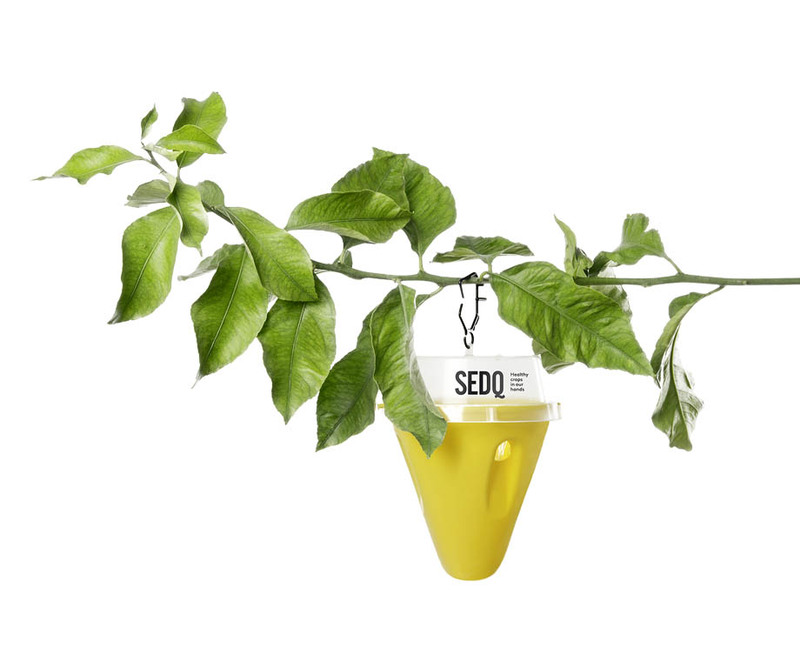 — SEDQ has a range of traps andmonitoring diffusers for trackingmany species of interest in theagricultural and forestry fields. it is not a control method in itself. This technique is based on strategically placinga number of traps. Each one contains an attractant and/or pheromone specific to the species to be controlled, but also a small dose of insecticide which, located inside the trap, acts on the pest in a way that is safe for the crops. using an environmentally-friendly method without adverse effects on the health of the producer or the end consumer. for the insect to be controlled. This guarantees the maximumtrapping efficiency. This is a highly effective control technique and is very widely used for controlling diptera such as Ceratitis capitate. It is also used for controlling beetles, as is the case with the palm weevil, Rhynchophorus ferrugineus, as well as other insects. of other control methods may be necessary. However, the use of mass trapping can reduce the number of chemical treatments by over 70%. This technique consists of saturating the environment with enough pheromone to make it difficult for the male to locate the female. This greatly reduces the number of matings and, consequently prevents the species reproducing effectively. A single treatment is effective throughout the pest cycle. This system specifically controls a target species. That is, it does not affect beneficial organisms or non-target species. 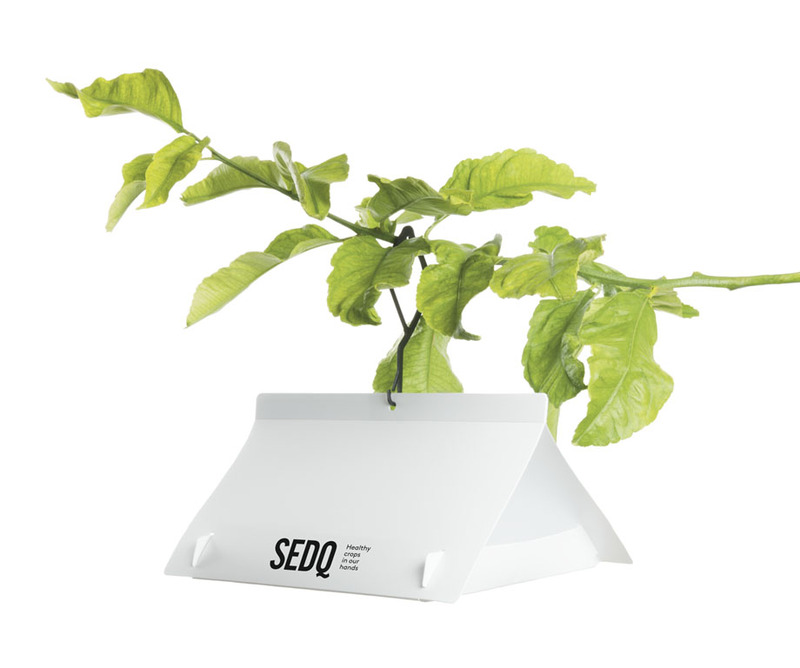 — SEDQ develops diffusers with optimal emission and duration for controllingtarget species, providing adequate crop protection. 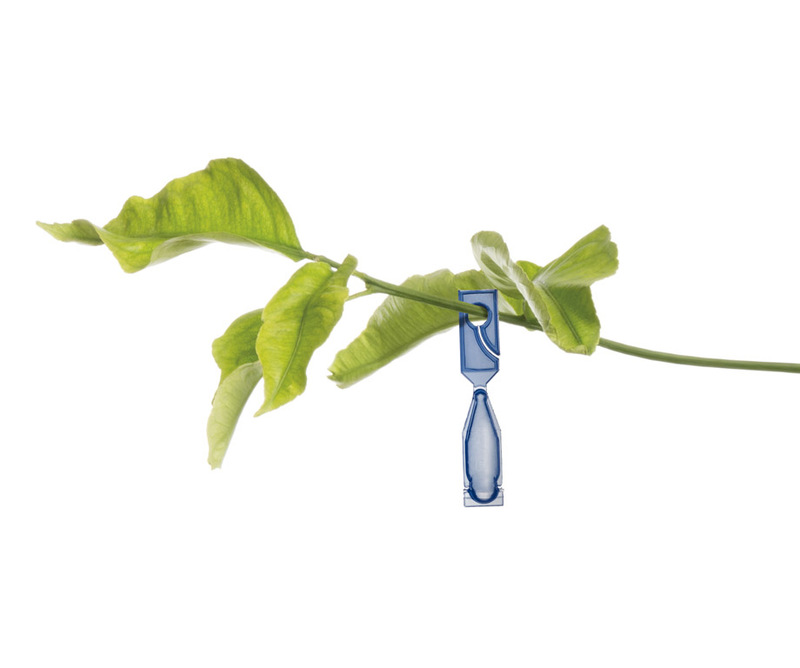 This control method is widely used to treat lepidopteran species that attack several crops. An example of this is the extensive and growing application of mating disruption in pests such as Anarsia lineatella on drupes or Lobesia botrana on vines, among others. The greater the surface area to be treated, the better mating disruption works. It is also highly efficient in low or moderate pest infestations. When the species to be controlled is dense, the probability that both sexes are found is greater, so in situations of high density, complementary treatments may be needed, although the number of applications needed will be reduced.